Once again, I have let myself fall into the not-so-easily escapable rut of allowing life to hinder my ability to blog. It has to be noted though, that such absence is not due to laziness or lack of inspiration but instead, it is thanks to the busynesses of my newfound London life. As I write this it has nearly been 8 weeks since I moved down south from my northern home of Liverpool - a place in which I have always felt I wanted to escape from. This feeling I have felt throughout my life does not stem from dislike for my home city however, but instead feels rather akin to a restless form of boredom. In these 8 weeks that London has been my home, I have found that I needn't have been plagued with worries or anxiety prior to my move. I let fear trick me into fretting that London would either be a city I loved or loathed - an opinion held by many a London dweller. Surprisingly, I have found I have taken to independent living with ease (although, independent of parents as I am actually living in halls and not in a studio flat, that very thought feels me with dread). All of the mundane tasks that come with living on your own have not been as big of a burden - or a fuss - as I had imagined them to be. In fact, I have found myself feeling more at home, here in London, than I ever did in Liverpool, anxiety-wise especially. Maybe it is the cloak of anonymity that comes with inhabiting such a vast city that allows me to exist with a much lessened fear of judgement. Perhaps in another's mind the thought of being unidentifiable within a sea of people would be a situation pondered with horror. I however, revel in the act of incognito. There is no denying however, that University is stressful, even more so now than the first time I drafted this post but even still, the same aforementioned surprise applies here. Although, the 35 minute morning commute to university 4 days a week is no joke - a packed Hammersmith and city line tube does much to try and hinder one's capacity to cope. One thing I have found particularly telling though, is how easily I find it to asleep en route, there is something rather calming about being blissfully unaware of the cluttered chaos of your people-packed surroundings - until the train stops and you wake up from whacking your head on the pole next to you, that is. 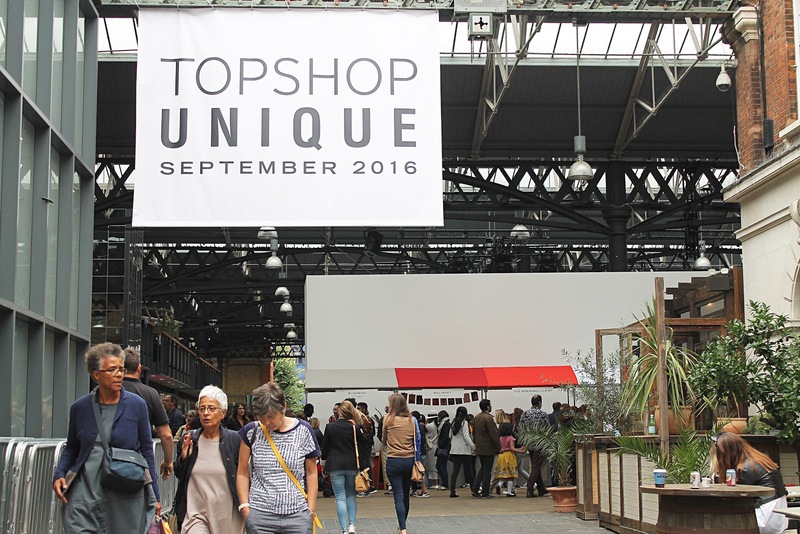 Before university started - a short time ago - fashion week ascended on London. 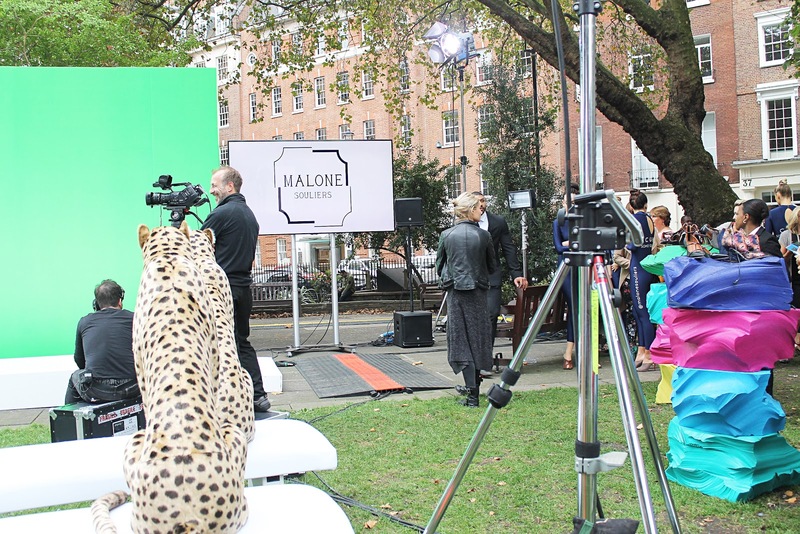 Splashed all over Instagram were enviable invites for fashion shows and events. Details which were all so inviting to me, not only as a person with an avid interest in fashion but now, as a fashion journalism student. 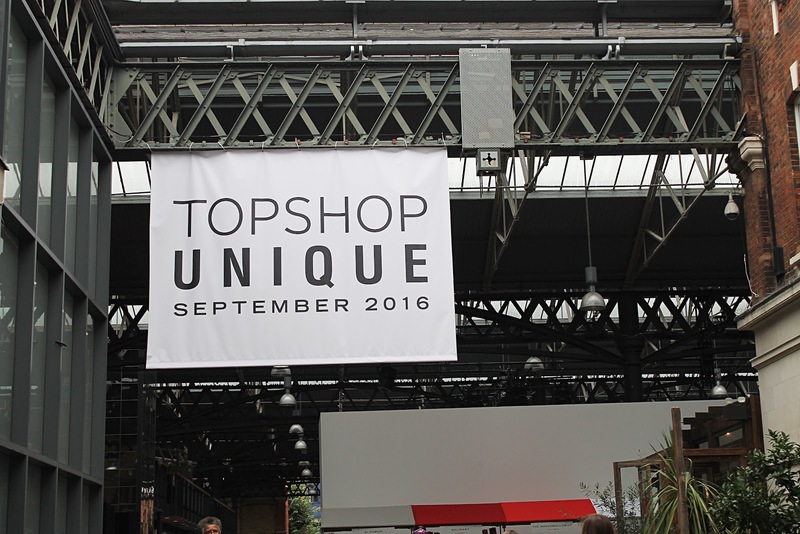 It was only through this envy inducing trawling of Instagram that I found out that the Topshop Unique SS17 (or rather, September 2016) show - a catwalk that rarely seems to disappoint - was being held at Old Spitalfields market, a venue which just so happens to be moments from my residence. Rushing ensued then, to Old Spitalfields market, in the aim of capturing at least a bit of the display. Although, due to my late departure thanks to the rather untimely finding out of the location, upon arrival the show had already finished yet, the journey was, as to be retold below, not a wasted one and certainly not one that warranted any sense of disappointment. It was an odd venue for a fashion show I must admit, without taking the see now buy now, market inspired context of the collection in to account. Hoards of 'normal' people going about their Sunday travels sat, devouring their (undoubtedly delicious) food seemingly completely unfazed by the fashion frenzy unfolding in front of them. Crowds were still gathered around the emptied casket of the catwalk set-up however. It was certainly a strange atmosphere to be in, uncertainty hung in the air and I had never previously experienced anything of the sort before. It was an odd environment to find yourself wandering into - not quite chaotic but not exactly calm, strange might be the more fitting description to describe yourself being placed directly next to a flurry of models. And, famous models at that - meandering mere feet from where you are standing - with no bodyguards, no gate, no nothing to separate you, the observer to, them who partook in the aforementioned fashion frenzy. 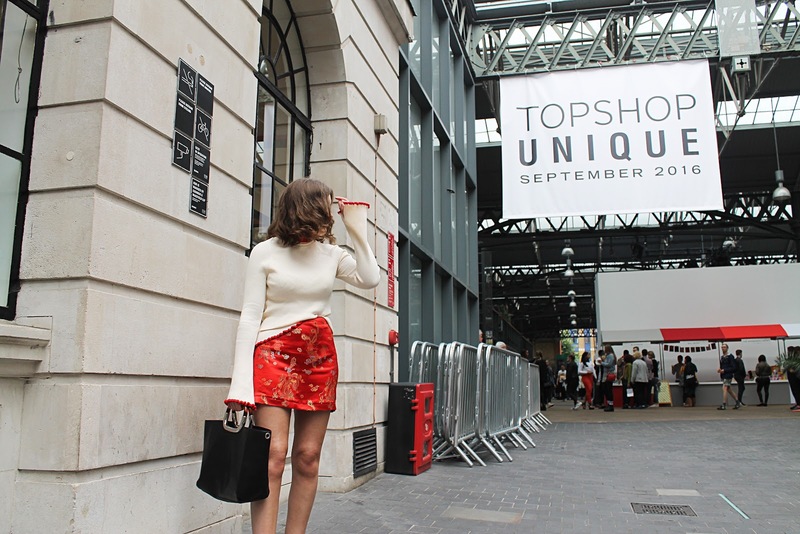 Supermodel Taylor Hill, Topshop's current campaign girl and Stella Maxwell were among the cascade of models and yes, they are just as stunning in real life - and tall. I shall not bore you with the shaky snapchats I captured on this strange day, I was too caught up in the weirdness of it all to facilitate a proper shot. Too caught up, seemingly, to recognise that it was indeed, Julia Hobbs, fashion news editor for British Vogue, standing directly in front of me - interviewing the models for vogue's Instagram account. Of course such position should have been a telling clue if any - if not for her impeccable outfit and standout bob - yet, in that moment her name escaped me. 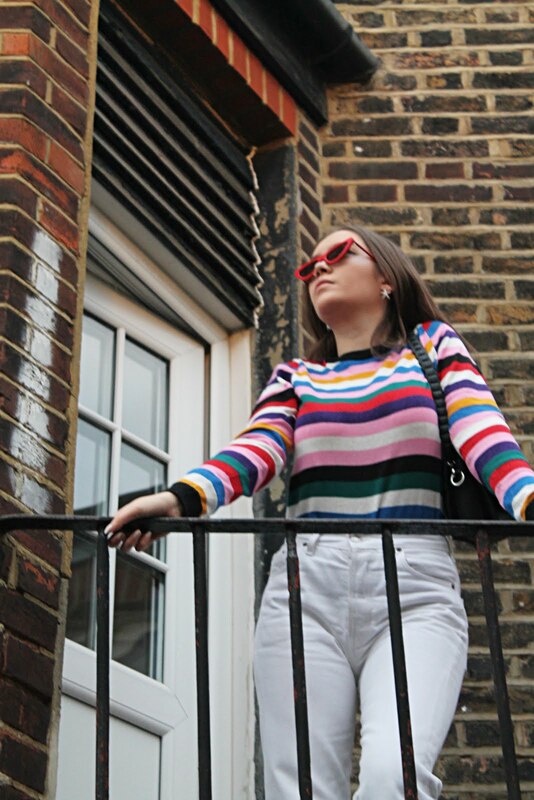 I really do adore Julia, she is one of the few who really inspire my fashion writing and of course, her style is certainly enviable. 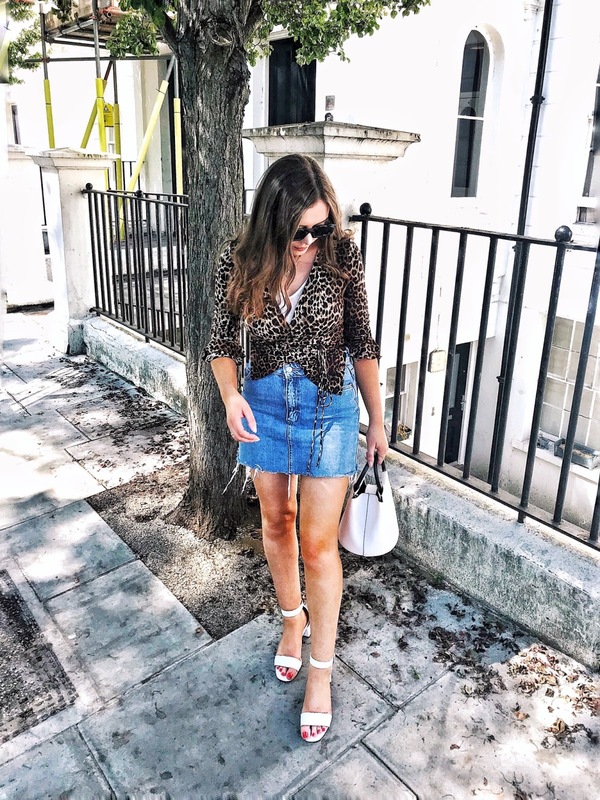 While I know that being stopped and getting asked for your photograph to be taken is one of fashion weeks biggest cliches, it was an occurrence not previously experienced by myself and, if I must say - it was all in the lure of the skirt. I had been searching for a skirt of silk/satin persuasion for quite some time yet to no prevail - as per usual - until I scoured the streets of brick lane and found this, particular ornate gem on the rails of a shop named Serotonin Vintage. As always, where the high street fails, vintage prevails. I have never been one much so taken with the colour of red before yet on the day this particular ensemble was curated, I seemed to be at one with the jewel toned colour. There is no denying that these last 2 months that I have spent in London have been a whirlwind - not one day spent entirely lounging has been had since before move in date - a record for me I think and, I feel good, I enjoy keeping busy. I am tired, certainly, but I already feel as if I never want to leave London. To me, it seems a city bursting with opportunity, there is so much to explore, so many different places to visit, things to see - so much so that it can often feel overwhelming (especially when your weekend ritual is waking up at 2pm with a hangover) and something which does much to cast a shadow over Liverpool - and how small of a city it does seem now - but nonetheless, explorations of London are for another time. Here's to the first 8 weeks in London and here's to the next. That's a beautiful look! I am excited to follow your adventure at the fashion school! You've gained a loyal follower here!